Enjoy browsing our wonderful selection of CHILDREN AND TEENS note cards. All Children and Teens Themed Note Cards include envelopes. Our note cards are easy to print on your inkjet/laser printer or we can print for you. 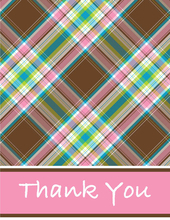 If you are looking for thank you cards for your child`s birthday party, or maybe a gift idea for your teenage child, we have a great selection of note cards and thank you cards.